Basionym: Echinocactus simpsonii (Engelmann) Britton & Rose robustior Coulter, Proc.Amer.Acad., 3:377, 1896. 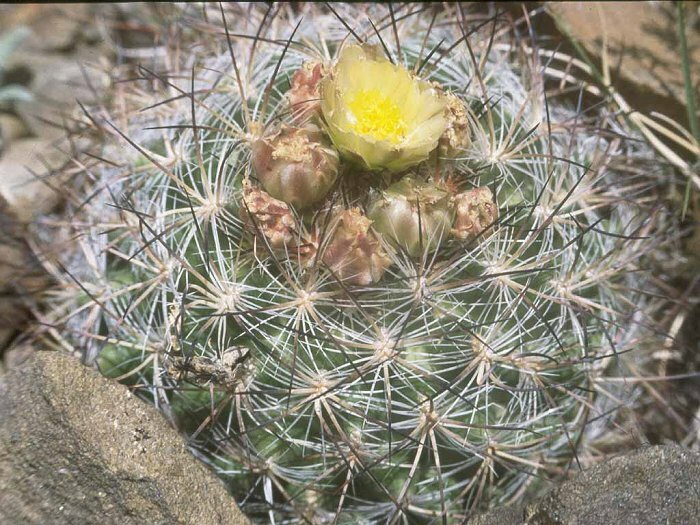 Pediocactus simpsonii (Engelmann) Britton & Rose var. robustior (Coulter) L. Benson emend. Hochstätter, Succulenta, Netherlands, 69 (7-8):169-175, 1990. Note: because the type locality for two sorts was given (see Pediocactus nigrispinus complex) a new holotype from Battle Mountain, Nevada, fieldnumber fh 110, HBG, 20. July 1990.